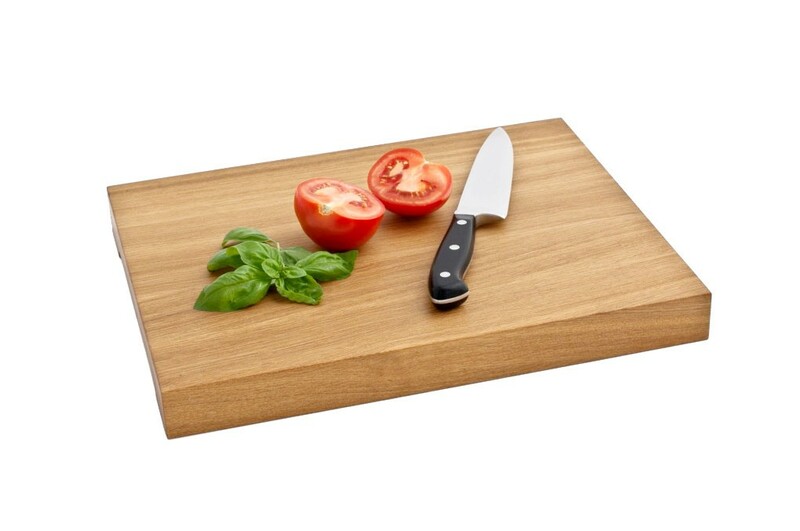 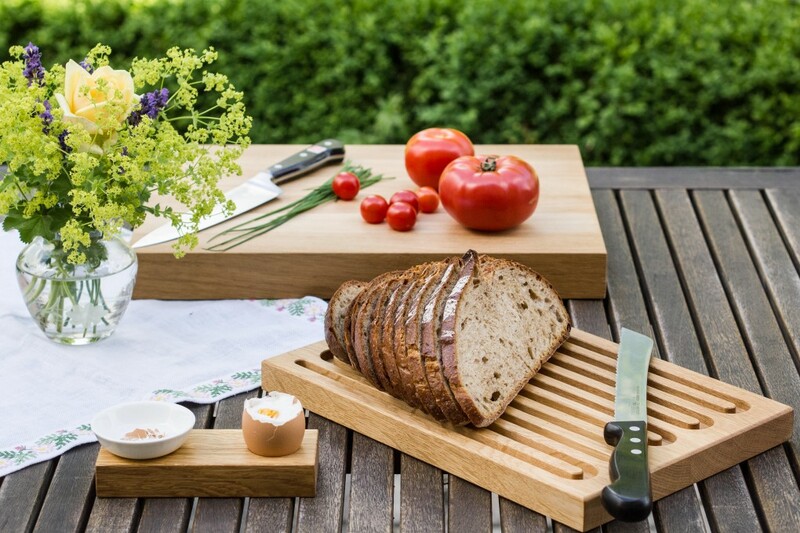 This wooden chopping board made from solid oak is perfect for cutting vegetables, fruit, herbs or meat. 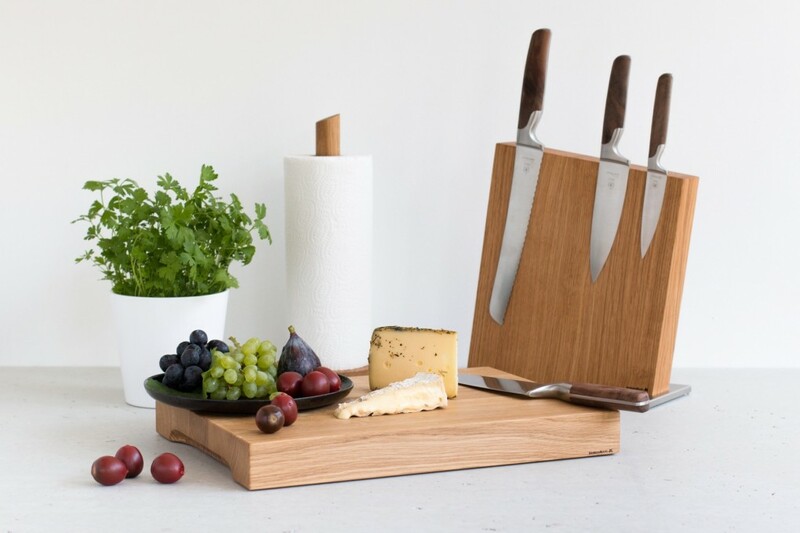 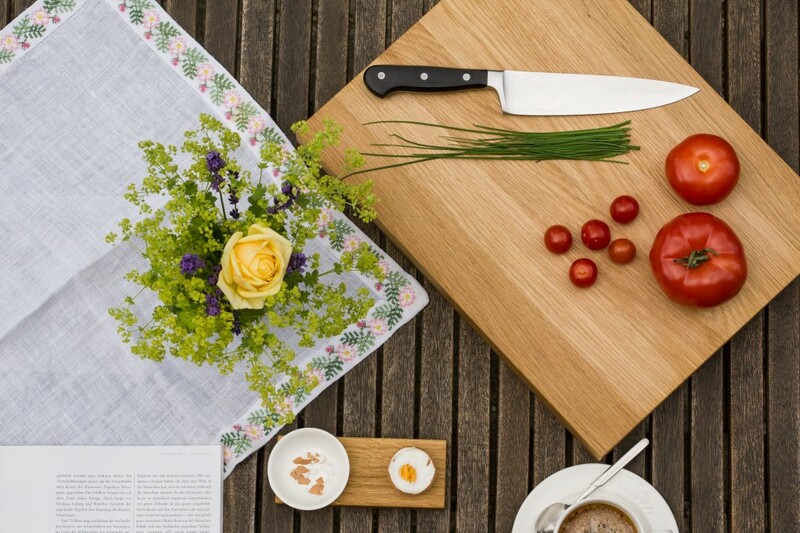 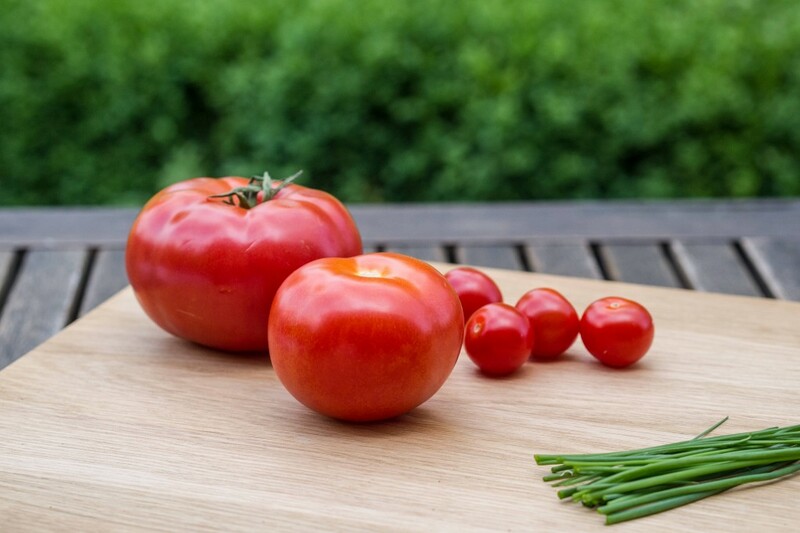 Our chopping board is a must-have kitchen utensil that will prove to be indispensable! 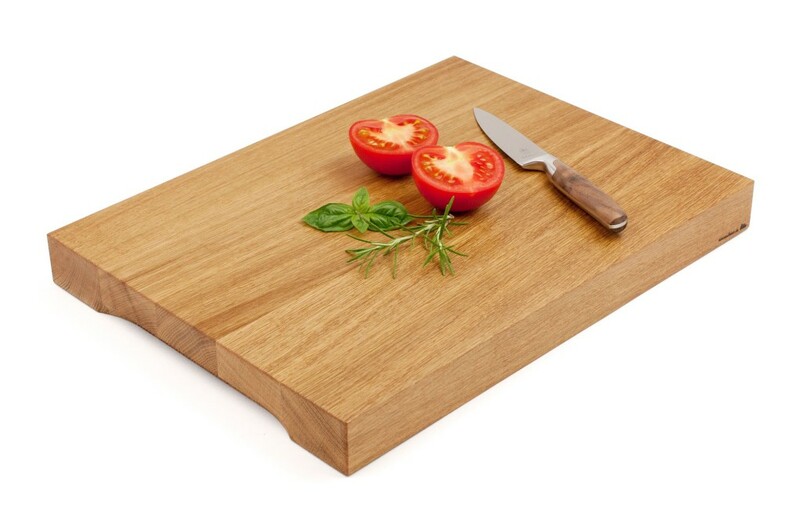 If looked after and occasionally finished with cooking oil, this board will be a highly cherished kitchen utensil for years to come. 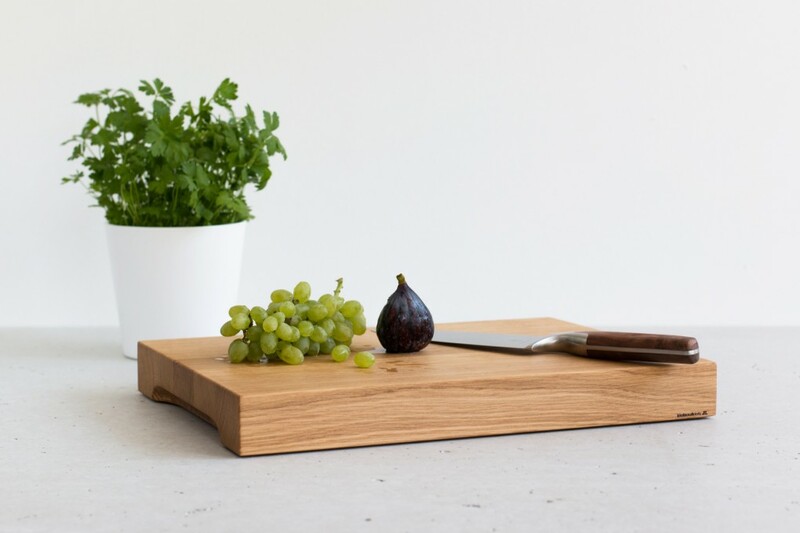 The board is fitted with rubber feet to keep it from moving around and to protect your works surface.